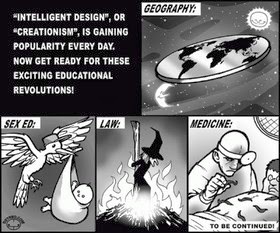 Criminalize Conservatism: Why Don't Christians Who Take the Bible Literally Also Think The Earth Is Flat? Why Don't Christians Who Take the Bible Literally Also Think The Earth Is Flat? 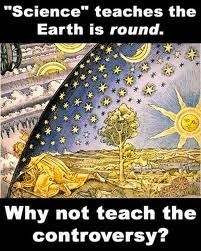 Copernicus be damned, today's post is from Paul Rosenberg at Alternet.org, "Why Don't Christians Who Take the Bible Literally Also Think The Earth Is Flat?," subtitled, "According to parts of the Bible, the earth is both stationary and flat." "The creationist crowd is in a tithy lately. First there was 'Cosmos' — on Fox, no less! — giving short shrift to everything they hold dear. Then, adding insult to injury, for those paying close attention, long-awaited evidence of the Big Bang arrived. It’s been a rough few weeks. "But really, if you’re a biblical literalist, it’s been a rough few centuries, or millennia, actually. You see, according to the Bible, the earth is both stationary and flat. Most pointedly, there are at least two passages in which a single point is visible to the whole world (Daniel 4:10-11 and Revelation 1:7), and one (Matthew 4:8) in which the whole world can be seen from a single point — an obvious impossibility unless the earth is flat. "Although the Catholic Church had forced Galileo to recant his work questioning the immobile earth in 1632 — and only pardoned him in 1992 — they did so in part because they were certain the earth was a globe: a globe around which the sun, moon and all other heavenly bodies revolved. Such was the Ptolemaic system, which had dominated Western views for more than a millennium. And yet, the Bible itself reflects a radically different view of the cosmos, one shared by the ancient Egyptians and Babylonians, in which the earth is both stationary and flat. And there is a wide range of scriptural passages to prove it. "The late Robert Schadewald made this point conclusively in 'The Flat-Earth Bible,' an article posted on the Web back in 1995. Schadewald was a former board member and president of the National Center for Science Education, a leader in the fight against creationism and other forms of pseudo-science being pushed into schools. But he was as much an enthusiastic student of fringe or 'alternative' science as a source of endless fascination as he was a critic of swallowing it whole. "'When I first became interested in the flat-earthers in the early 1970s, I was surprised to learn that flat-earthism in the English-speaking world is and always has been entirely based upon the Bible,' Schadewald begins his piece. Easily the most influential work is 'Zetetic Astronomy, Earth Not a Globe,' by Samuel Birley Rowbotham. Its first, 16-page pamphlet edition, in 1849, predated Darwin’s 'On the Origin of Species' by a decade. "A single point cannot see to or be seen from everywhere on a globe at once. For these words to be literally true, the earth must be flat, end of story. "The Genesis creation story provides the first key to the Hebrew cosmology. The order of creation makes no sense from a conventional perspective but is perfectly logical from a flat-earth viewpoint. The earth was created on the first day, and it was 'without form and void (Genesis 1:2).' 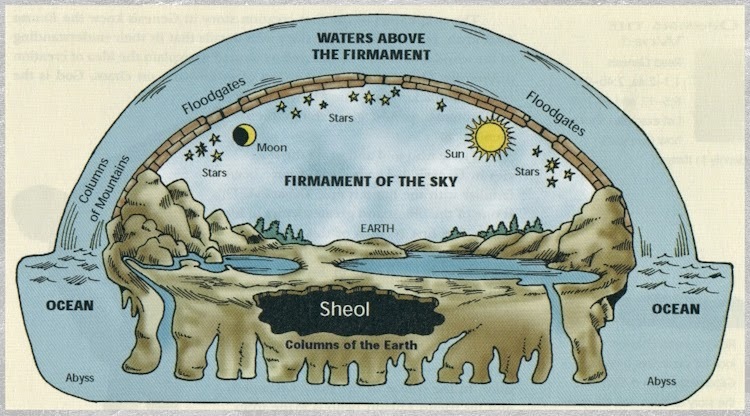 On the second day, a vault the 'firmament' of the King James version was created to divide the waters, some being above and some below the vault. Only on the fourth day were the sun, moon, and stars created, and they were placed 'in' (not 'above') the vault. "Regarding the heavens, he noted that the word 'firmament' is translated from the Hebrew word raqiya, meaning the 'visible vault of the sky,' and coming from riqqua, 'beaten out.' 'A good craftsman could beat a lump of cast brass into a thin bowl,' Schadewald pointed out. 'Thus, Elihu asks Job, "Can you beat out [raqa] the vault of the skies, as he does, hard as a mirror of cast metal (Job 37:18)?"' He went on to cite a number of passages supporting the view that the vault of heaven is 'a solid, physical object' and thus 'a tremendous feat of engineering,' as well as passages from Isaiah [40:22], Job [22:12, 14], and Ezekiel [1:22-26, 10:1], which 'complete the picture of the sky as a lofty, physical dome,' not merely an illusion that looks like a dome. "Regarding celestial bodies, Schadewald first noted, 'They had to be small to fit inside the vault of heaven,' but added, 'Small size is also implied by Joshua 10:12, which says that the sun stood still "in Gibeon" and the moon "in the Vale of Aijalon."' He then cited a number of passages presenting celestial bodies as 'exotic living beings,' somewhat similar to how various polytheist religions represent them. 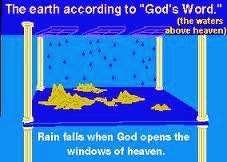 And, of course, stars can fall from the skies (Daniel 8:10, Matthew 24:29, Revelation 6:13-16). "Unlike the canonical books of the Bible, which (in my view) were never meant to teach science, sections of 1 Enoch were intended to describe the natural world. The narrator sometimes sounds like a 2nd century B.C. Carl Sagan explaining the heavens and earth to the admiring masses. The Enochian cosmology is precisely the flat-earth cosmology previously derived from the canonical books. "This includes trips to the ends of the earth, a detailed description of solar and lunar motion, including six openings in heaven for them to emerge from when they rise and another six to pass into when they set, according to the season, and more information about stars, including their punishment for transgressions. 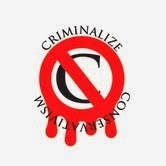 "Some might be inclined to think that Schadewald was overstating his case. That’s understandable. Skepticism is good. So they should consider what a true believer had to say. In 'Earth Not a Globe,' Rowbotham first presented a series of secular arguments on a wide range of specific issues, but in the end he resorted to wide-ranging, detailed arguments from scripture, in which moral, religious and physical arguments were all jumbled together with extensive quotations from the Bible. "At one point, for example, Rowbotham cited more than two dozen passages, such asPsalm 103, 11, 'For as the Heaven is high above the Earth,' to argue that 'If the Earth is a globe revolving at the rate above a thousand miles an hour all this language of scripture is necessarily fallacious.' 'Up' and 'down' are meaningless, he argued, if the place you point to as 'up above' you is millions of miles away by the time you’re finished speaking. This may seem like a bizarre position, but it actually accurately reflects a consistent, literal-minded, stationary geocentric worldview — if not an exclusively flat-earth perspective. It simply shows how much scriptural evidence one can find, depending on the set of assumptions one begins with — which in turn shows just how difficult, if not impossible, it is to change the minds of true believers. "In another passage, Rowbotham argued about the nature of celestial bodies, further illustrating how his viewpoint produces a proliferation of scriptural support. First, he rejected the notion that the moon shines with reflected light, quoting Genesis 1, 16-17,'He made the Stars also; and God set them in the firmament to give light upon the earth,' and 10 other passages, before concluding, 'Nothing is here said, nor is it said in any other part of Scripture, that the sun only is a great light, and that the moon only shines by reflection.' Then he argued that stars are not sunlike objects vast distances away, but rather are lights in the sky created to give light to the earth at night. These clearly mattered to him because of the entire worldview they are part of — precisely the point that Schadewald made. "Not incidentally, in making his point about the stars, Rowbotham misrepresented the scientific view by claiming, for example, '[T]he modern system of astronomy teaches that this earth cannot possibly receive light from the Stars, because of their supposed great distance from it.' Here, and throughout his argument, he confuses the matter of starlight reaching the earth, so that we can see the stars, with the matter of starlight illuminating the earth, so that we can see other objects by the light of the stars. The two are entirely different matters, but Rowbotham, for all his careful attention to words when it suits him, never seems to notice. In the end, however, he makes a claim so wild, it seems to make everything else irrelevant. He says that travelers report that in many other parts of the world, starlight is 'sufficiently intense to enable them to read and write.' Yet, the confusion of terms in his argument is vital to setting the tone for this final, preposterous assertion — all of it, firmly rooted in scripture as he reads it. 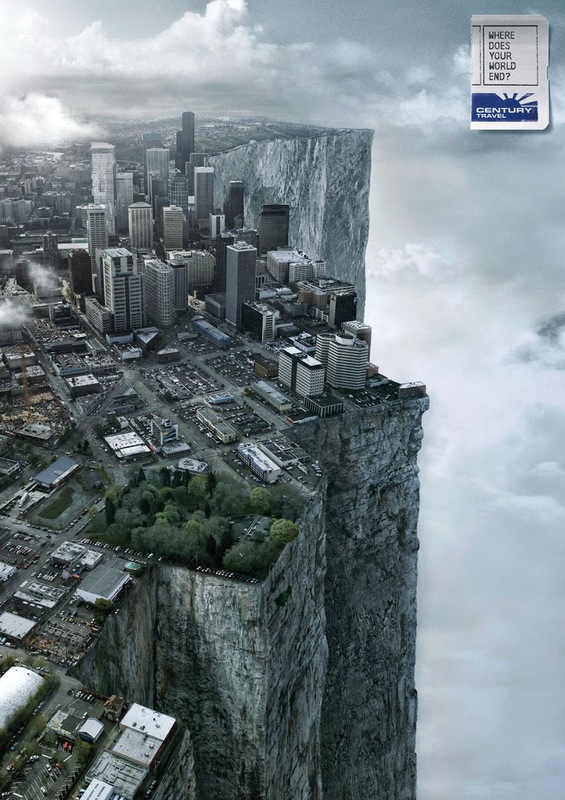 "Again, this may seem far removed from the idea of a flat earth. But for Rowbotham, our inability to see the connection is but further proof of how little we understand. And he had a point. The world as he envisions it is so radically different than our own that we find it difficult, if not impossible, to imagine what he takes for granted. But if the earth is flat, covered by a physical dome that contains the stars, then the descriptions he offers do make sense — and for Rowbotham, reading the Bible as he did, it’s impossible to separate one part of that cosmology from any of the others. "Rowbotham also made a further argument about the stars that goes to the subject of moral confusion and relativism — neatly anticipating the anti-Darwinians who would follow him. If, he argued, the stars are 'not simply lights, as the scriptures affirm them to be, but magnificent worlds,' then there arise all sorts of theological conundrums — Are the worlds inhabited? If so, have the first parents be tempted? Have they fallen? Been redeemed? Does each world have a separate redeemer? Or is Christ the redeemer for every world? If so, was his suffering on earth sufficient for all the other worlds? And what of Adam’s fall? Did it implicate the inhabitants of all other worlds? 'The Christian philosopher must be confounded!' Rowbotham exclaimed. 'If his religion be to him a living reality, he will turn with loathing or spurn with indignation and disgust, as he would a poisonous reptile, a system of astronomy which creates in his mind so much confusion and uncertainty!' What a relief, then, to know that it’s all garbage, that earth is the only world ever created! How strikingly similar, then, his rejection of secular astronomy was to the creationists’ rejection of secular biology. 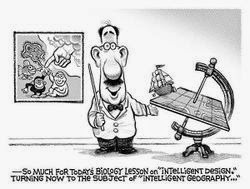 ''Though flat-earthism is as well-supported scripturally and scientifically as creationism, the creationists plainly do not want to be associated with flat-earthers…. "'Charles K. Johnson, president of the Flat Earth Society, is absolutely vehement about scientific dishonesty. He regularly calls scientists "liars" and "demented dope fiends" and claims that the entire space program is a "carnie game." "With these sorts of venomous sentiments now infusing not just Bible scientists, but the wider conservative audience for global warming denialism, birtherism, groundless claims of 'death panels' and massive voter fraud, etc., it seems high time that progressives stop playing defense and start going on offense. Asking Christian conservatives to defend flat-earthism any time they open their mouths would be an excellent place to start. The Bible, after all, is far, far clearer in supporting a flat earth than it is in opposing abortion, much less birth control." 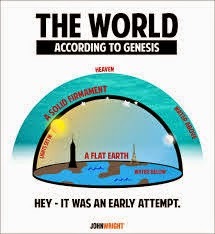 Now you know why Conservative theists get so worked up about science and stuff -- if Genesis is wrong, then the whole Bible -- along with all religion -- is suspect...and while looking at the flat earthers, we haven't even looked at the silly Creation theory. And since the Conservative leadership and its propagandists have wooed the ecumenicals by pretending that they are devout (Protestant) Christians too, the whole ball of wax explodes for them if religion is put into doubt. These are the fanatics that Conservatives want to help them rule, a criminal act if there ever was one. 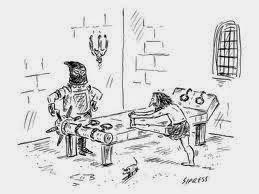 And if you object or even voice your doubts -- remember the Inquisition! "Organized religion is a sham and a crutch for weak-minded people"